The entrance to Raytheon’s Andover plant. WASHINGTON — When Raytheon’s top lobbyist faces senators for his confirmation to become secretary of the Army, the hearing may answer a crucial question: How much good will does half a million dollars buy in Congress? That’s roughly how much political money Mark Esper, Raytheon’s vice president for government relations, has lavished over the last seven years on Republicans and Democrats on the Senate Armed Services Committee, through the giant defense company’s political action committee. The $473,000 to committee members — who must decide whether Esper’s nomination advances to the full Senate — is just one slice of more than $11 million in Raytheon PAC contributions Esper has orchestrated to incumbents and various candidates for federal office. The contributions inject questions of political influence and conflict of interest into the debate over his nomination, and they lie at the core of concerns voiced by Senator Elizabeth Warren and watchdog groups about Esper’s nomination. “When you’ve given $475,000 to senators, you can expect a fairly friendly reception at your confirmation hearing,’’ said Melanie Sloan, a senior adviser at the nonprofit group American Oversight and a veteran of ethics watchdog initiatives in Washington. Esper is an Army veteran and deeply experienced Washington insider who has held his powerful Raytheon job since 2010. He is not unique among high-ranking defense industry executives getting picked for top defense posts, in administrations past or present, Republican or Democratic. 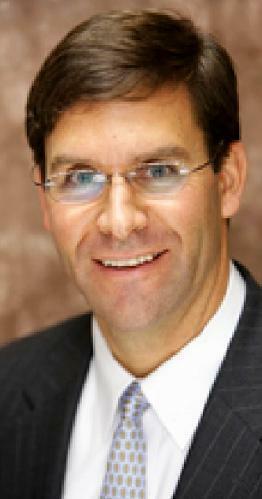 President Obama picked a predecessor of Esper’s in the Raytheon job for a Pentagon post in 2009. But Esper’s potential trip through the revolving door is unusual for the sheer size of the political money trail he leaves behind. And it highlights the extent to which a culture of cozy connections reigns in President Trump’s Cabinet, despite his campaign promise to “drain the swamp’’ of Washington influence peddlers. Esper, as is common for Cabinet nominees awaiting confirmation, did not respond to requests for comment. He has pledged to recuse himself, if confirmed, from any Raytheon-related issues for one year. Raytheon also did not respond. 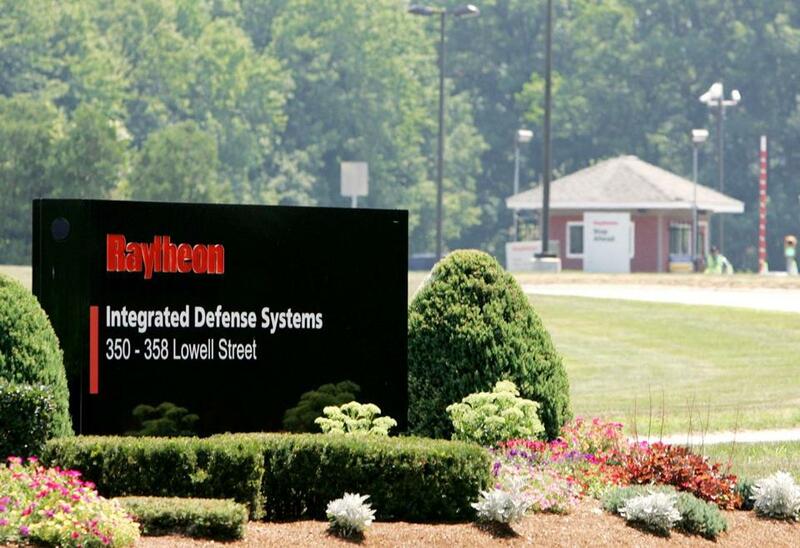 Raytheon, based in Waltham, is one of the top five defense companies in the country, with about $23 billion in sales in 2016, nearly one-third of that to foreign governments. It is best known to the public as manufacturer of the Patriot defense system, which seeks to shoot down incoming enemy missiles. It also builds the electronic eyes and ears — radar and sonar — for myriad weapons systems, as well as software that tracks friendly and hostile forces during a battle. Working the levers of power on Capitol Hill and the Pentagon is crucial to Raytheon’s business. Esper “runs the company’s PAC, the ninth largest corporate one in the country, to enable incumbents and candidates for office who support Raytheon’s goals and share its values,’’ according to his resumé. Among those incumbents is Republican John McCain of Arizona, the powerful chairman of Senate Armed Services who has raised questions about lobbyists being named to key posts in Trump’s Pentagon, even as his committee has routinely approved them. Another is ranking Armed Services member Jack Reed, the Rhode Island Democrat who is a major champion of Department of Defense weapons spending in New England. McCain and Reed, through the campaign committees and “leadership PACs’’ they use to leverage additional fund-raising power, have soaked up in the neighborhood of $40,000 each from Raytheon’s PAC since Esper assumed responsibility for the company’s political strategies. The Senate had been in recess. McCain and Reed did not respond to questions. Multiple other senators on the committee also did not respond. Esper enjoys support among the committee’s Republican majority, according to media accounts. “I think Mark will be a good secretary,’’ Republican Senator Tom Cotton of Arkansas told the Washington Examiner. Cotton has received $13,500 from the Raytheon PAC. Campaign contributions tell just part of the story about the Army secretary nominee. Esper, who earned $1.5 million from Raytheon in the last year, leads a 20-person, multimillion-dollar operation based at Raytheon offices among a cluster of Virginia office towers across the Potomac River from Washington. The team lobbies on a vast array of weapons and space programs. In addition, Raytheon farms out specialized lobbying tasks to 14 firms across the capital. Nearly all of the individuals in this platoon of lobbyists previously held government jobs on Capitol Hill or in the Pentagon, or both. Esper himself is a former Department of Defense deputy assistant secretary in the George W. Bush administration and a staffer to former Senate majority leader Bill Frist. The Armed Services Committee has not yet scheduled a confirmation hearing for Esper. Warren, a committee member, raised concerns about Esper’s conflicts of interest in an interview with the Globe in September, although she remained neutral on his nomination. Warren, who has received $5,000 in Raytheon PAC money, is running for reelection in 2018 and has reason to be cautious. What’s good for Raytheon is often good for New England jobs. The company employs 12,700 people in the region, including 11,600 in Massachusetts, and it has contracts for defense work at shipyards from Maine to Connecticut. Among Raytheon’s highest priorities on that list is protecting its lucrative market for its best-known line of weapons, Patriot missiles. And an apparent campaign of public-relations subterfuge to further that goal — combined with a lobbying push targeting a Massachusetts lawmaker, Democratic Representative Niki Tsongas of Lowell — is a telling example. Raytheon appeared to have undertaken a stealth campaign to mold Beltway opinion, without leaving any fingerprints. On the surface, the four separate opinion articles, by four obscure authors, in four defense and conservative journals, seemed unrelated. They were published as the House Armed Services Committee was deliberating on the 2018 defense budget in late June. The subject: a new, behind-schedule Army computer system that could increase competition for Raytheon’s dominant Patriot missiles. The new system is supposed to integrate battlefield command and control among multiple missile-defense systems, including those produced by competing manufacturers. A closer look at the four articles revealed common threads: each included a highly technical and methodical criticism of the Northrup Grumman project’s failings. And each made an identical point, calling for a fresh approach by the Army. Tellingly, each of the four articles also contained the same mistake: They inadvertently dropped the word “defense’’ from the name of the system, The Integrated Air and Missile Defense Battle Command System (IBCS). Two of the articles contained identical phrases about the system’s vulnerability to hacking. One of them was written by a retired Army general from Mississippi who has worked as a consultant to Raytheon. Indeed, the articles preceded the actual legislation: a defense budget amendment submitted by Tsongas, a member of the House Armed Services Committee. The Tsongas amendment, couched in obscure language, cited in technical detail the failings of Northrup Grumman’s IBCS. It demanded a report from the secretary of the Army on ways to “leverage other programs’ investments’’ as an alternative. Explaining that deliberately vague mandate in an interview with the Globe, Tsongas said “other programs’ investments’’ means Raytheon’s existing antimissile software platforms, for the Patriot system and another one called THAAD. She said she had met with Raytheon representatives to discuss the measure before she introduced it. Esper, who oversees such lobbying, did not attend meetings on the subject, Tsongas said. Her office declined to name who attended. In late June, the amendment was included in the House defense budget for 2018. It will be part of negotiations between the Senate and House on a final defense budget. Tsongas received $9,000 in campaign contributions from the Raytheon PAC on July 27, according to public records, a month after her amendment was adopted. Tsongas’ staff said she returned the contributions, as well as others, after she announced Aug. 9 that she will not be running for reelection in 2018. Esper and Raytheon did not respond to specific questions about Raytheon’s tactics. One of the four articles was written by retired Major General Buford “Buff’’ Blount III, whose extensive list of accomplishments includes working with Raytheon as a private consultant. Asked if Raytheon played any role in his article that appeared in Defense News, Blount replied, “No. Not that I know of.’’ He declined to comment further. Another author, Gregory T. Kiley, whose column slamming IBCS was published by Real Clear Defense, also denied Raytheon involvement. Kiley is a consultant, Air Force veteran, and former staffer for the Senate Armed Services Committee. The House has no voice in Esper’s nomination, and Tsongas said she remained neutral on the nomination. But she said she hoped the Senate Armed Services Committee would thoroughly explore ways to handle his conflicts of interest. Globe correspondent Julia Jacobs provided research. Christopher Rowland can be reached at christopher.rowland@globe.com. Follow him on Twitter @GlobeRowland.